Michael Molitch-Hou for Engineering.com: Between the worlds of CNC machining and additive manufacturing (AM), there lies a bridge technology referred to as hybrid manufacturing. Hybrid systems combine both production techniques to join the benefits of subtractive and additive processes—the precision of the former with the freedom of the latter. 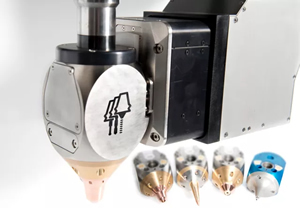 One of the first companies to get hybrid manufacturing into the market is Hybrid Manufacturing Technologies, which develops specialty tool heads that make it possible to transform any CNC machine into a hybrid AM system. Now, over half of the hybrid machine tool models available feature tool heads from Hybrid Manufacturing Technologies.